It’s that time of year, when everyone’s invited for an up close look at the homes of the rich and famous in Virginia. Because, we admit, there’s a little voyeurism in all of us. We love to peek through the windows and behind the closed doors and walled gardens of others, especially the wealthy. 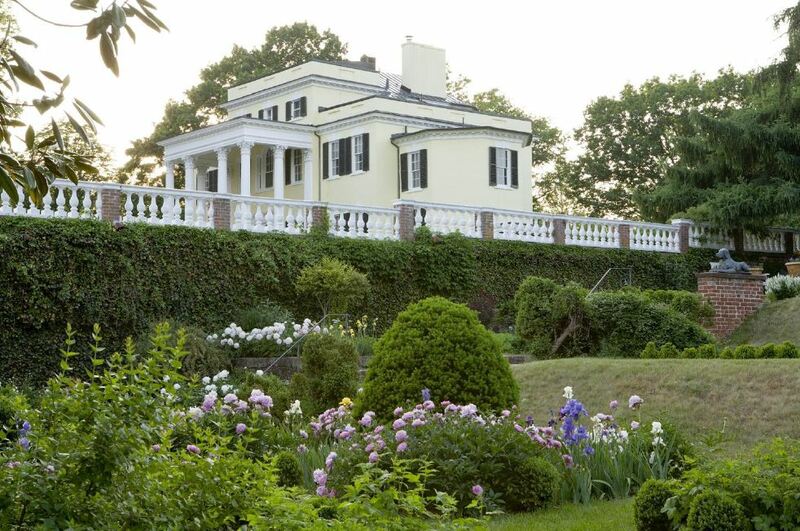 So even if you aren’t an avid gardener, Historic Garden Week in Virginia offers a rare chance to visit a few of the area’s loveliest estates during a time when they’re all dressed up in spring colors. This year there are over 200 homes to tour over 8 days statewide, starting April 27th through May 4th. Historic Garden Week is sponsored by the Garden Club of Virginia and its local chapters and for 2019, some of the most beautiful gardens, homes and historic landmarks statewide will be open during “America’s Largest Open House.” This 8-day event provides visitors a unique opportunity to see unforgettable gardens at the peak of Virginia’s springtime color, as well as beautiful houses and historic sites. 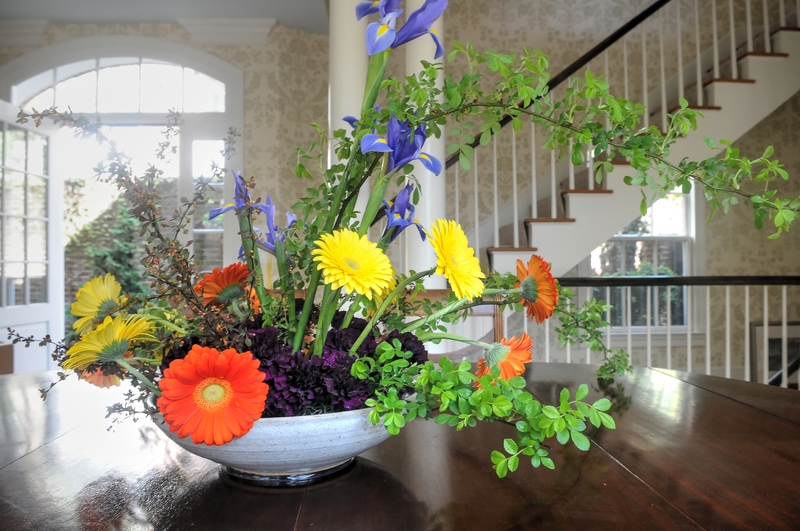 Garden Club members create over 2,300 flower arrangements that decorate each property to add to the beauty. Back in 1927, a flower show put on by the Garden Club of Virginia raised $7,000 to preserve some of the trees on the lawn of Thomas Jefferson’s Monticello, a huge sum at that time, and Historic Garden Week was born. The first statewide tour was in 1929, and since then over $17 million has been contributed to restoring landmark gardens and grounds around the state. In the Blue Ridge, with those fabled mountains, the stone walls, the dogwoods, and the redbuds in bloom for the backdrop, you can see open houses in several regions. On Saturday April 27th, the town of Washington, Va. in Rappahannock County (not to be confused with the big one across the Potomac) will have a walking tour of four in-town homes. Sunday, April 28th you can travel north to the historic town of Winchester to see several unique properties there, or to Leesburg, which has four homes open two days; Sunday April 28th and Monday the 29th. If you’re partial to the central Blue Ridge area, you can start April 27th in Orange County (about 75 miles southwest of the Beltway) to view four magnificent homes and gardens in the fertile farmland there. 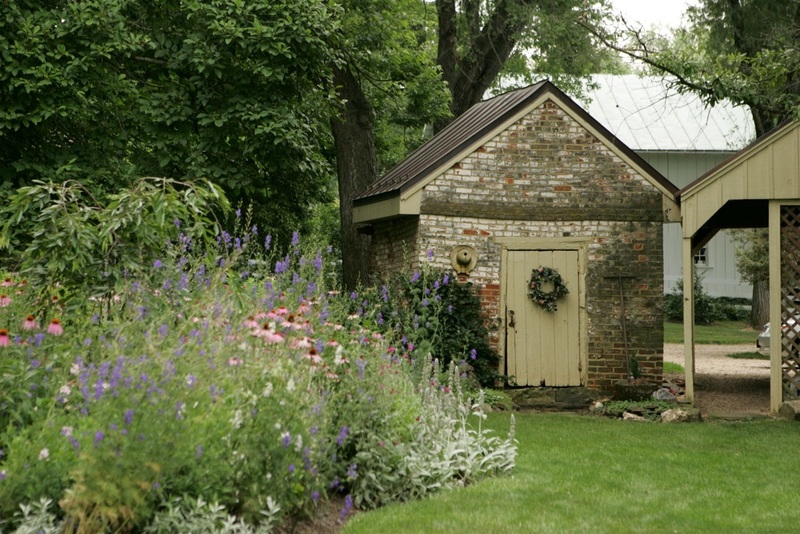 Sunday the 28th Charlottesville and Albemarle County hold their tour of homes and gardens, and Monday the 29th you can tour the private walled gardens of University of Virginia Pavillions on the Lawn. You could make a full week of it and still not see all the open houses on the tour, but if you’re up for some driving midweek, we heartily recommend the James River Plantation tour, Sunday April 28th through Tues., April 30. From there you can head back north to view the Fauquier homes and gardens on Wednesday and Thursday May 1st and 2nd. Tickets for any of the tours can be purchased ahead of time for $25 or on the day of the tour for $35. For details and online ticket purchase go to their website at www.vagardenweek.org but tickets can be purchased individually on site at any of the open houses, too. And don’t forget the horses—racing is in full swing, both point to points as well as the big sanctioned races. There is a race every weekend, sometimes two, the entire month of April. See the Spring Race Schedule in this section for locations, times and contact information.